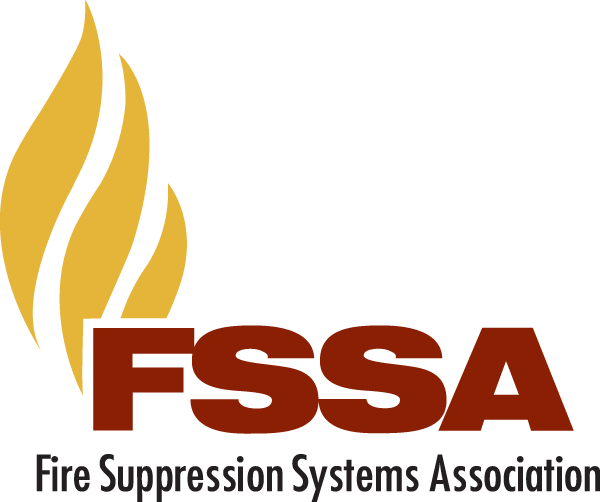 FSSA guides were designed by our Technical Committee to improve the efficiency and safety of individuals in the industry. If you have not purchased or looked into any of our publications, we highly recommend doing so as they are very important and helpful tools designed specifically for your field technicians. FSSA Members receive special member pricing at 50% published rates. Sign in to your member profile to receive this discount. Not a member yet? You have the option to purchase at regular pricing or consider joining as member. Click here for details. To aid those charged with performing inspections in developing and periodically reviewing their own inspection forms, FSSA has developed this book. 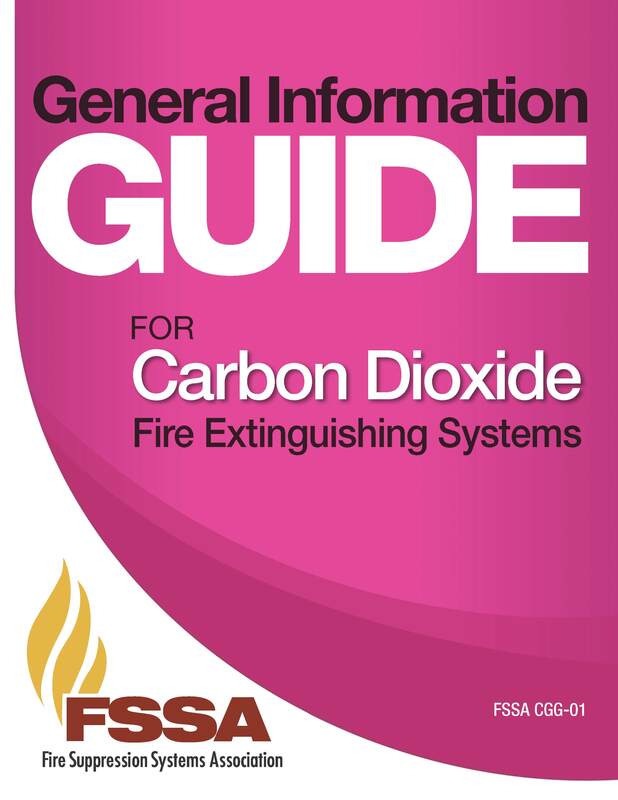 The book details the various elements that may need to be included in the inspection of carbon dioxide, clean agent, and kitchen fire suppression systems, and associated fire alarm systems. The Guide to Clean Fire Extinguishing Agents and Their Use in Fixed Systems, or more simply, the “Clean Agent Guide,” is FSSA’s newest addition to its growing collection of technical publications. The purpose of the Clean Agent Guide is to supplement NFPA 2001 as a tool for understanding a number of important aspects of “clean agents.” In particular, it is hoped that the content and narrative style will make clear the methods used to arrive at the singularly important result, which is the “minimum design quantity,” or MDQ, of each agent, given the characteristics of the design space, hazard type, operating temperature range, altitude above sea level, and other factors. The guide includes a worked example for a total flooding design using the eight most widely used clean agents. Additionally, the guide addresses agent environmental metrics, safety exposure limits, retention of the agent-air atmosphere in an enclosure, and touches on enclosure pressure effects upon discharge, a subject addressed in depth in the FSSA GUIDE to Estimating Enclosure Pressure and Pressure Relief Vent Area for Applications Using Clean Agent Fire Extinguishing Systems, 3rd edition. Also briefly addressed are some of the elements of clean agent systems, the subject of a future FSSA guide, now in development. The 4th Edition of the FSSA Test Guide for Use with Special Hazard Fire Suppression Systems Containers provides essential information on regulatory requirements for transportation and requalification of cylinders used in special hazards fire suppression systems. In addition to summaries of DOT and NFPA requirements, there is an extensive tabulation of manufacturer specific cylinder data. The “Test Guide” provides a quick reference to guide those involved in the service, maintenance, inspection, test, and requalification of fire suppression systems containers through pertinent DOT and NFPA requirements. New Appendix B - Pipe Fittings for Use In Clean Agent System Piping and revisions to Section 3, Appendix A and Appendix C.
The purpose of this guide is to provide information concerning proper application techniques when using an automatic fire detection system as a means of releasing a special hazard fire suppression system. Two approaches are recognized by NFPA 12 for the design of local CO2 systems: rate-by-volume and rate-by-area methods. 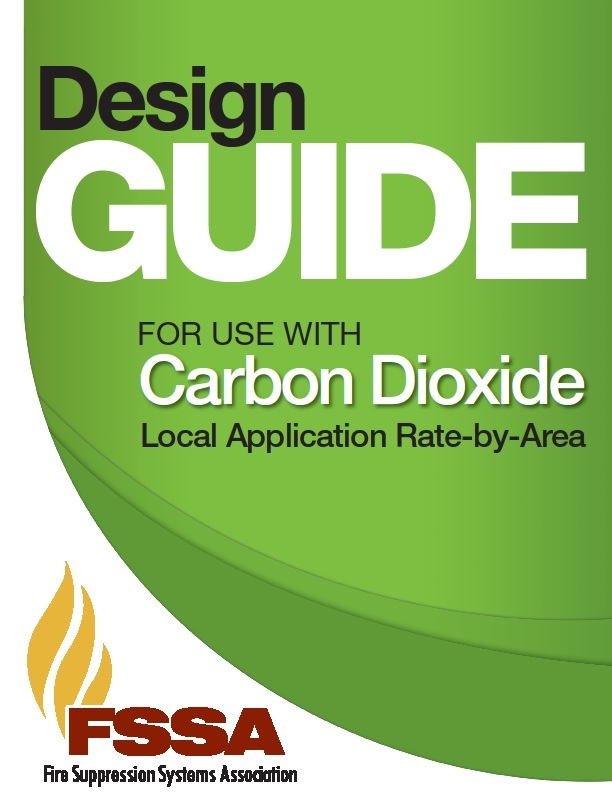 This document describes how to design a carbon dioxide local application fire extinguishing system using the “rate-by-area” method. Two approaches are recognized by NFPA 12 for the design of local CO2 systems: rate-by-volume and rate-by-area methods. Published in 2005, this document describes how to design a carbon dioxide local application fire extinguishing system using the “rate-by-volume” method. Hazards contained within enclosures are protected by carbon dioxide using multiple design methods, depending upon the fuel and hazard configuration. 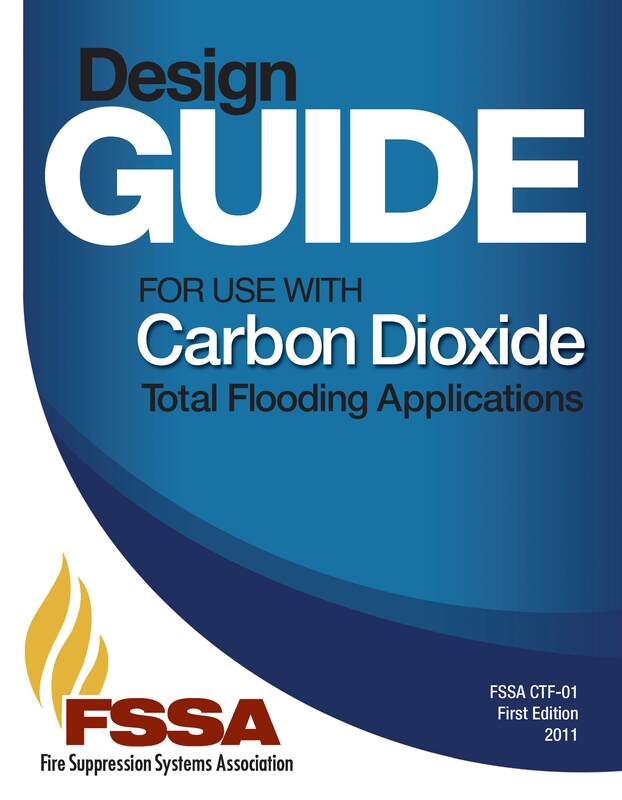 This document guides the user through the NFPA 12 design procedures in an easy to follow manner that includes formulas and examples of the steps required to complete a design of a total flood CO2 system. A design worksheet is included in the guide as well as five completed example worksheets depicting typical CO2 hazard systems. This guide is intended to provide a basic understanding of the principles of design that relate to all carbon dioxide fire suppression systems. It is based on the design parameters outlined in NFPA 12; Standard on Carbon Dioxide Extinguishing Systems published by the National Fire Protection Association and generally accepted practices in the fire protection community. The goal of the guide is to assist new designers in understanding basic design parameters and to provide a reference document for experienced designers. 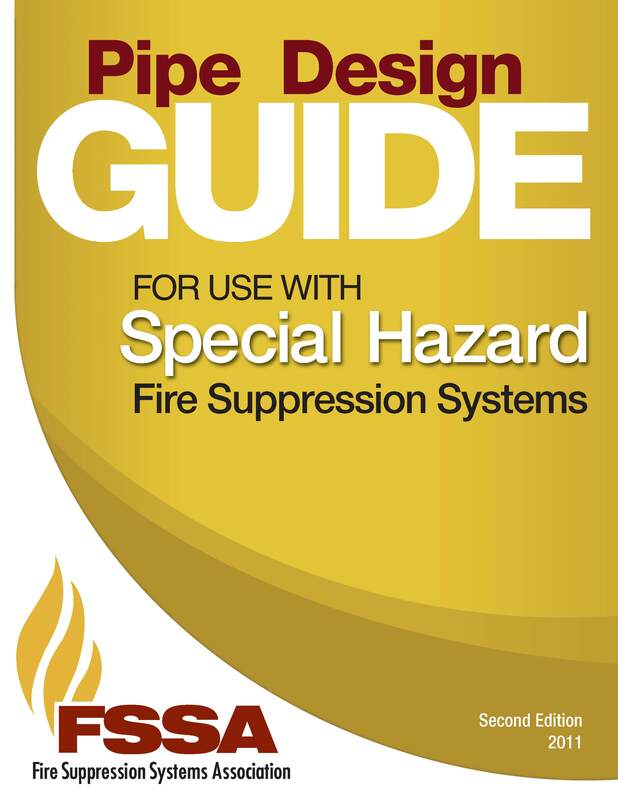 The guide book, developed by the Fire Suppression Systems Association Technical Committee, discusses the NFPA® 2001 requirements as well as the experimental data. The guide book also provides equations, which may be used to estimate peak pressures and relief vent areas for discharges of FK-5-1-12, HFC-23, HFC-125, HFC-227ea, IG-55, IG-100 and IG-541 for the range covered by the experimental data. In addition to the printed guide, the FSSA offers a companion computer program based on the estimating equations from the guide book. The FSSA PRV Estimator computer program automates the process of estimating peak pressure and related leakage area for discharges of clean agents into enclosures. Estimates are obtained more quickly with greatly reduced chance of arithmetic errors by using the computer program. The Publications Package includes one printed copy of all the FSSA publications listed above. FSSA ONLY accepts payment by credit card (Visa, MasterCard, Discover, AmericanExpress) for international orders. Wire transfers are NOT an accepted form of payment. Due to country-specific regulations, FSSA cannot guarantee the processing of all orders placed. Orders placed will be processed 5-7 business days after payment has been made (electronic and printed). We will NOT send electronic copies until payment has been received. Orders placed outside of the United States are subject to shipping and processing fees. The buyer is responsible for the cost of products plus cost of transportation. This includes insurance, all import taxes and duties, and shipment from receiving airport or port. Orders are ONLY shipped via UPS. Orders requested to be shipped via any other carrier are subject to an additional $45 handling fee. A physical address is required for shipment. We cannot ship to P.O. Boxes. We verify all credit cards before shipping. In some cases, this may delay stated delivery dates. Please allow 1-2 weeks delivery time. The buyer is responsible for assuring that the product can be lawfully imported to the destination country. When ordering from FSSA, the recipient is the importer of record and must comply with all laws and regulations of the destination country. Orders that are shipped to countries outside of the United States may be subject to import taxes, customs duties and fees levied by the destination country. Charges for customs clearance must be borne by the recipient; FSSA has no control over these charges and cannot predict what they may be. Customs policies vary widely from country to country; you should contact your local customs office for further information. When customs clearance procedures are required, it can cause delays beyond our original delivery estimates.